What defines the aesthetics of your bathroom? Is it the wall and floor tiles that define its appearance? Or is it the lighting system that makes it look attractive? What about the sink and tub? The fact is while all these factors play an important role in the overall appearance of your bathroom, the single biggest factor that makes your bathroom look great is the shiny porcelain finish. Whether it is the bathtub, sinks or shower enclosure, the condition of each and every fixture is noticed. The bathroom is one place in your home every person wants to be sparkling clean. Not only your family, but even your guests and visitors notice how well you take care of your bathroom. A clean, well-maintained bathroom gets noticed and unfortunately if it is less than sparkling it may give people the impression you haven’t cleaned as well as possible. While porcelain is a very durable material, with regular and continuous usage your bathroom fixtures begin to show signs of aging. Chipped, worn-out, faded and pale looking bathroom fixtures can ruin the overall appearance of your bathroom and can leave a negative impression on your guests. That’s why it is important to clean your plumbing fixtures regularly with the proper products so the finish lasts for a long time. But even with the proper care, the finish will wear over time or the color goes out of style. 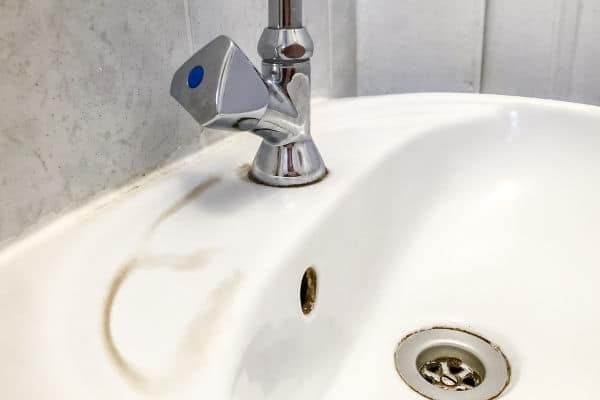 Most homeowners think the only way to improve the appearance of old fixtures is by replacing them with new ones, which can be a very expensive job. That is also the reason why a large number of people keep using worn out or outdated bathroom fixtures. The good news is that you don’t have to spend money on replacing your current bathroom fixtures. Hire a profession bathroom glazing contractor, like Total Koatings, who can make your old bathroom fixtures shine like brand new at fraction of the cost of replacement! This durable coating is cost-friendly and comes with a 5-year warranty for durability. So, hire an experienced glazing contractor and keep your bathroom looking sparkling new for years to come. Give Total Koatings a call and get a bathroom you will be proud to show off.